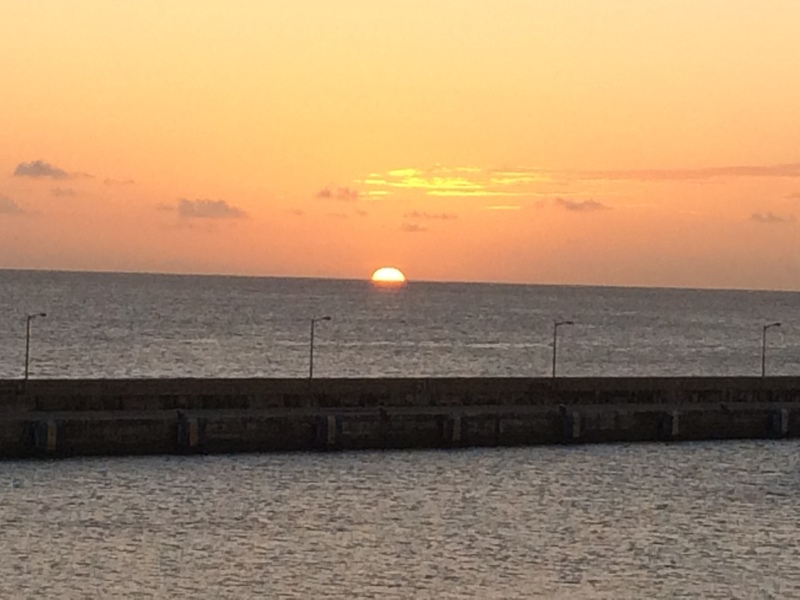 This post is the first in a series from my Caribbean Cruise in February 2015. You can read a review of Ventura, the P&O Cruise Ship I was on, here and find links to the rest of the posts here. 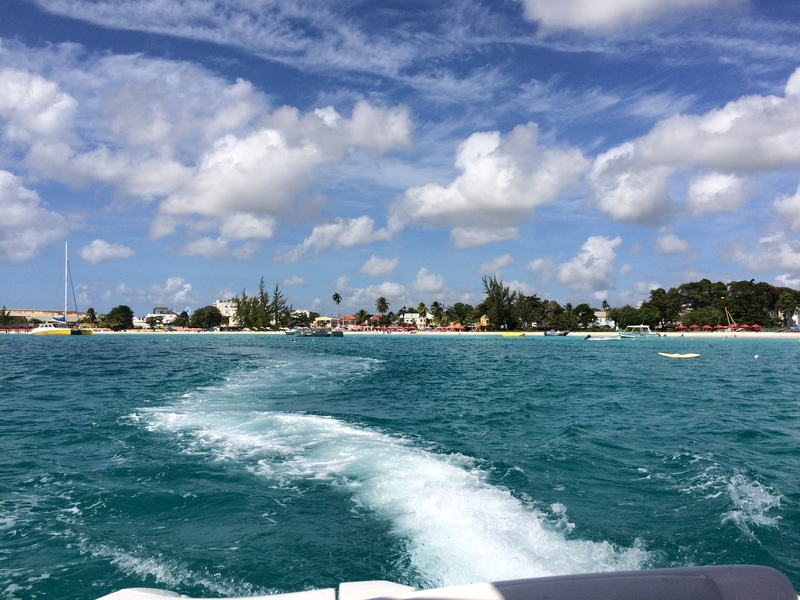 We arrived in Bridgetown, Barbados in the afternoon on Friday and headed straight to the Ship to get checked in and then spent the rest of the afternoon getting acquainted with our home for the next two weeks. After dinner, it was time to get back off the ship and see what the nightlife of Bridgetown had to offer. 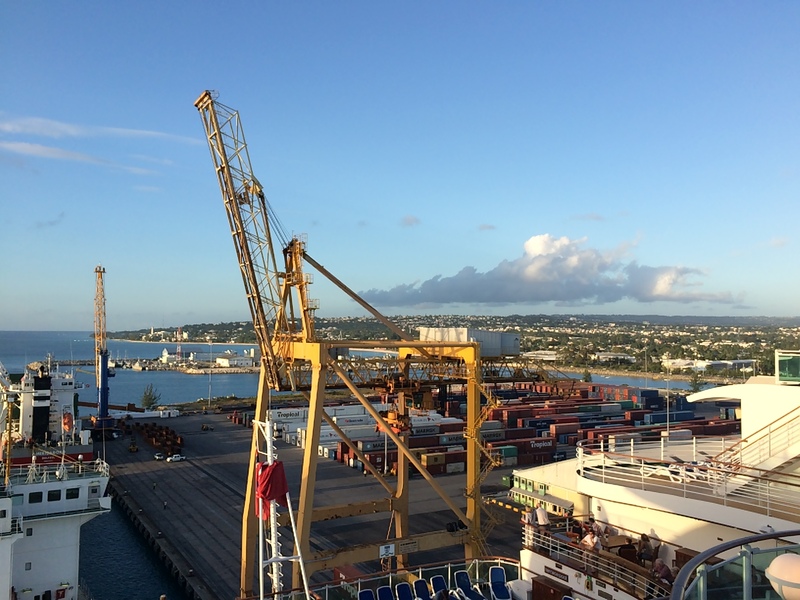 I was on the cruise with my friend and her family to visit her brother who is working on the ship so he had been to Bridgetown (and most of the other ports) a number of times so he was able to advise us of good places to go. He was also heading out with a group of his friends that night so we tagged along with them. We hopped into a taxi from the port and they took us into town. In Bridgetown they charge you per person and you arrange the price before you get in, rather than paying a metered fee. $5 (USD) per person seemed to be pretty standard for all of our journeys. We went to Harbour Lights, where we paid $20 (USD) for entry but this included all of our drinks so that didn’t feel too pricey. The club was actually on the beach so we got a picnic table that was in the sand and were delighted to be surrounded by palm trees for our first night in the Caribbean after leaving a snowy Scotland the night before! The music was good – mainly just a mix of chart/popular music and good dancing songs which was exactly what we were looking for. While we were there, we saw that the cast of Made in Chelsea were filming in a separate bit of the club so that was really cool – even though I don’t watch the programme, it confirmed to me that we had chosen a good club to go to in Bridgetown because I’m sure they have people who research the best places to go for their holidays! I will have to keep an eye out for the episode to see if we appear in the background! 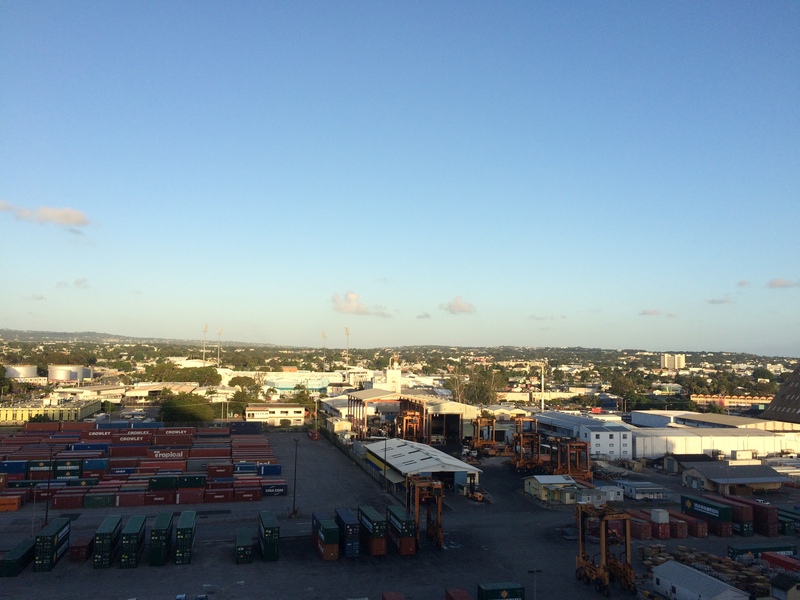 My friend and I were really tired after such a long day of travelling so we didn’t really make the most of our night out in Bridgetown and headed back to the ship much earlier than we would have normally so it was a shame that that was our only overnight stay in any of the ports. 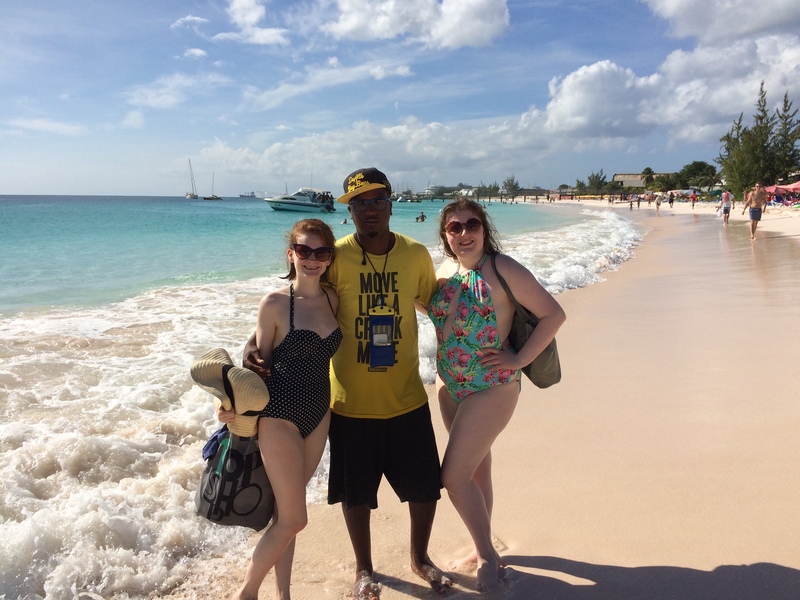 Hopefully if I get the chance to go back to Barbados I will be able to spend a few days there to experience the nightlife more. On Saturday we woke up early because we wanted to make the most of our full day in Barbados before setting sail for Grenada in the evening. Again, my friend’s brother had given us a recommendation so we headed to The Boatyard, which was another beach bar. This was about a 10 minute taxi journey away from the port and again we were charged $5 (USD) each. We paid $15 (USD) each to get into The Boatyard which included a sun lounger and an umbrella, a cocktail, wifi and transport back to the ship. There was a really good atmosphere in the bar and the food and drinks were all good too. The rum punch is a must! After a few hours at The Boatyard, my friend and I decided to go for a walk along the beach and met someone who was selling boat trips to go snorkelling with Turtles and see a shipwreck. We jumped at the chance and paid $20 (USD) each. When we spoke to people later it sounded like we had paid a pretty standard price for the trip: some people had got it for cheaper but we were the only people on our trip and we were really lucky because there were no other boats at either location while we were there so it was just the two of us in the water. Our Captain Jamal was also great – he was a nice guy and he was just a bit older than us so we had good chat with him. He also shared his personal supply of rum punch so that was an added bonus! The actual snorkelling was unbelievable. We were so close to the Turtles and they were so relaxed about us being there. We asked Jamal why there were so many Turtles in that location and he said it’s because they are really lazy so they always return to where people feed them each day! I was gutted because I had bought a GoPro for the trip but I didn’t know we would be snorkelling so I hadn’t taken it with me. I definitely learned my lesson that day and I took it everywhere with me after that! After a while with the turtles we got back onto the boat and went to the Shipwreck to have a look around, which was amazing. I had never seen anything like it before; the ship was so well preserved and it was so strange to see the whole ship lying on the seabed. After about an hour and a half with Jamal, it was time to head back to the beach where we returned to The Boatyard for our free transport back to the beach. We had an amazing day in Bridgetown and I would definitely like to go back because I felt that there was a lot more to see that we didn’t have time to do (although that became a common theme for the rest of the cruise because there was so much to see everywhere we went!). 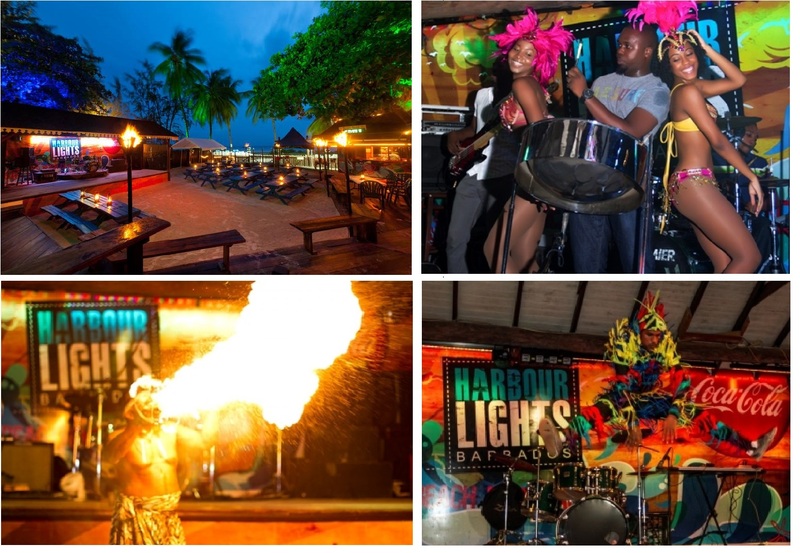 I would definitely recommend The Boatyard as a fun place to chill on the beach in Bridgetown and Harbour Lights was great for a casual night out (heels are definitely not a good plan for the multiple levels and all that sand, although some girls did their best!). Most of all though, I think everyone that goes to Barbados should make the most of the opportunity to snorkel with the Sea Turtles! You can actually swim out yourself but we didn’t feel that we were strong enough swimmers and couldn’t be bothered with the hassle of trying to find them and not having anywhere to leave our bags while we did. It was so easy to organise a tour – we literally just met someone on the beach – and for $20 you won’t be disappointed!